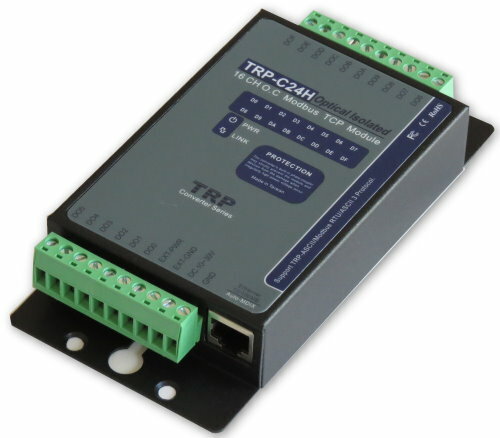 The TRP-C24H is a 16-CH open collect Ethernet I/O module with isolation. It supports a feature of monostable,and it allows the user to adjust timer value from each channel, These value will be autosave,and it is available from 100ms to 25.5 sec. It can allows to connect 1~8 sets of host IP in the network security. 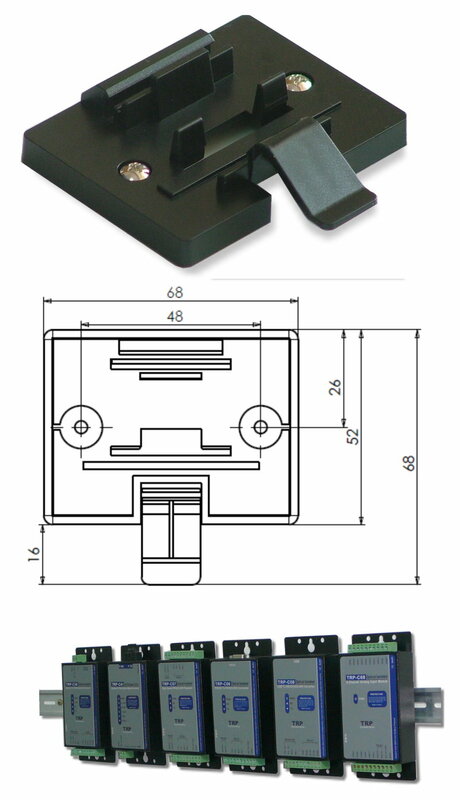 Each channel supports the mono stable circuit and auto save the time period to EEPROM. IO status can be set in the boot! WEB PAGE can be directly output and read IO status. Power/Link/16 CH DO LED indicator. Matching remote control: with TRP-C26H.